A private firm with a federal contract - and backed up by city police - forced motorists off Laurel Street and into a private parking lot Friday to question them about their driving habits and ask for a swab of their mouth. He said he wasn't told what the swab was for, but added, "Clearly it was for DNA." They need to charge every one of those cops under 18 USC § 242 - Deprivation of rights under color of law. Man, this kind of stuff gets my hillbilly back up. 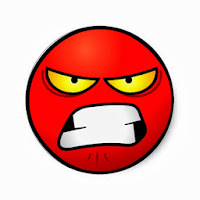 It burns me up to see these city folk acting like sheep, when armed policemen pull them over, under color of law, and — Lord have mercy!— 'ask' them for BLOOD and TISSUE SAMPLES! The Supreme Court, may the Lord judge them ever so harshly, has said that police checkpoints looking for drunk drivers are Constitutional (Michigan Dept. of State Police v. Sitz), but this is something new: these are Fed contractors, asking for BLOOD AND DNA after armed deputies stop citizens under color of law. And then say, after citizens are held by gun-toting policemen, that it was all "Voluntary"? EVIL. And in Forth Worth, Texas of all places! On Friday afternoon, Kim Cope was driving along Beach Street in North Fort Worth on her lunch break when she was stopped at a police roadblock. After being ushered into a nearby parking lot, she was given a menu of options. But Cobb wasn't stopped at a "sobriety checkpoint." She was merely asked if she cared to participate in the 2013 National Roadside Survey of Alcohol and Drugged Driving, an occasional study conducted by the National Highway Transportation Safety Administration. It's completely voluntary, though the blockage of a major street police officers (Fort Worth PD says they were off-duty) tends to give the opposite impression. Did you read that? (Presumably armed) off-duty police officers! 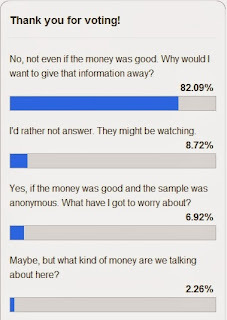 No doubt paid by the Fed Quislings who run this study. ...on Tuesday [Nov 19, 2013] police spokesman Sgt. Kelly Peel said that the department's Traffic Division coordinated with the NHTSA on the use of off-duty officers after the agency asked for help with the survey. Yeah. 'Apologize.' That makes it all better that you violated them like whores. Nice. Right up there next to Mordor-on-the-Potomac. PIRE, like pyre, something to have a Viking funeral for America on. 30 CITIES? Hit Google... Yep, I find out: it also happened in my adopted home of Alabama, in two of the northern counties, St. Clair and Bibb County, this past June! PELL CITY, Alabama -- It was a little bit after midnight, early Saturday morning, when Erika Skeivelas said she saw the flashing lights. Her 8-year-old daughter, sitting next to her, thought it might be a wreck. Skeivelas, 32, said she was traveling on Alabama 34... [and she saw] two St. Clair County deputies cars, with flashing lights, stopping traffic on the highway. The state motto of "We Dare Defend Our Rights" is apparently null and void for these oath-breaking deputies. She was then asked to be part of what she was told would be a brief roadside survey. What she participated in was a national survey looking at blood alcohol and drug levels of drivers. "As a citizen, I think at the end of the day in a way, it was somewhat entrapment," she said. "I don't think it felt all that voluntary. I mean, why didn't they ask people at Wal-Mart at 2 in the afternoon? What were they going to do if the deputies could clearly smell alcohol on somebody after midnight, because you know people have been drinking and are out on the road?" Of 2,016 votes cast as of 8 a.m. this morning, 80 percent said they would not give samples as part of a voluntary test, with 8.4 percent saying they would. 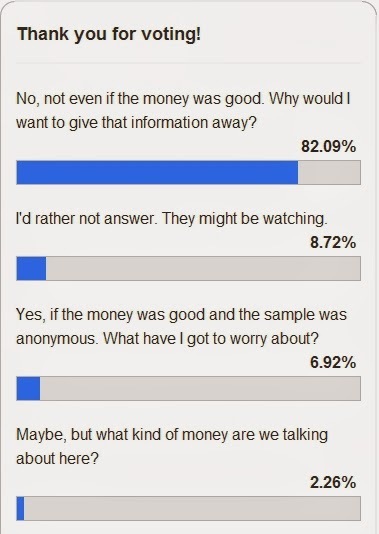 Only less than 3 percent said they might consider it if the money was good, while 8.6 percent said they would rather not answer since "they might be watching. The Feds, of course, are acting like it's all no big deal. Why, it's just a voluntary roadblock! Jose Ucles, a spokesman for the National Traffic Highway Safety Administration, said the survey did not collect DNA ... "Participation is voluntary," Ucles said. "All data is anonymous." The survey used deputies to stop traffic, he said, for traffic safety. "If you're doing roadblocks and asking people to stop, you have to have the deputies there to make sure everything is safe," he said. "It's not about detaining anybody, because the survey is voluntary and anonymous. It's about making sure the traffic is safe in that area." Oh, REALLY? Armed deputies are there just to "make sure everything is safe"? "We had an wonderful experience in Alabama," said John Lacey with the Pacific Institute for Research and Evaluation, the group coordinating the study for the National Highway Traffic Safety Administration. "The public was very receptive, and it was all very pleasant, which is not always the case. It's ironic that this kind of reaction has happened." It's only ironic to a Federal-Reserve-Note-swiving statist putz like you, Lacey! Being from prison state Maryland and paid by Mordor-on-the-Potomac, you can't fathom why southern folks would object to this. Why, after all, it's just a "voluntary, anonymous" study, right? However, the presence of deputies, the lateness of the hour, and reports from social media have prompted questions about the purpose of the study. Yesterday, Gov. Robert Bentley and Attorney General Luther Strange promised to look into the matter. State Attorney General Luther Strange said he learned about the activities from news stories. “I am shocked. This is very troubling and I intend to get to the bottom of it,” Strange said in a statement. And no further word from Alabama Secretary of Law Enforcement and Homeland Security Director Spencer Collier, who was supposed to "look into this". Probably got paid off by the Feds to keep it out of the media. BE, you hit the nail on the head when you question people truly knowing their rights. Sheeple have no clue, they are willing to do whatever is required for them to got their freebies. I'll admit, I could use a review of the Bill of Rights in detail, but I'm pretty sure I know my basic rights. Hmm...idea for future posts, perhaps? A review, in detail of each article of the Bill? Interesting thought on the idea for a future series. Maybe I will do a multi-part review of Kenneth Royce's ("Boston T. Party") seminal work, "You and the Police!" That covers it pretty thoroughly. I can cite some of the cases mentioned therein, and discuss. Sounds like an interesting idea.